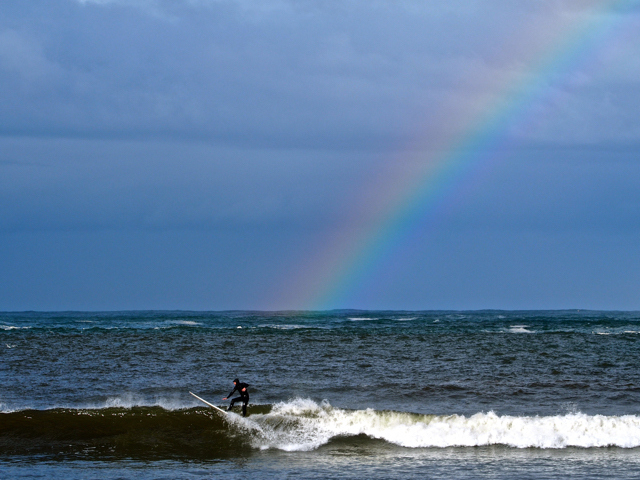 In between torrential rain storms at Caspar Beach………. I look at rainbows and see my chakras in alignment. I see my spirit going on forever. There is magic in rainbows. Always a gift to treasure! Beautiful shot. A rainbow and the waves. I love the ocean. As do I. Thank you so much! He caught the wave and you caught the great shot!!! Patience paid well that day.